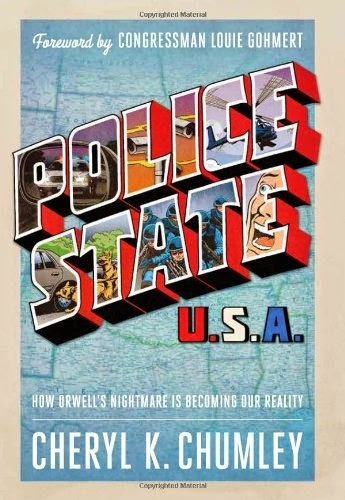 Police State USA: How Orwell's Nightmare Is Becoming Our Reality, available at Amazon! It lays out the problems facing our nation, some of which have flown under the radar for years. And if education and knowledge are the tools of reform, then Police State USA is a must-read. Alex Jones, Infowars.com: “Powerful, powerful book. Even if you know about most of this, its important to give Police State USA to your police chief, to your county commissioner. We can turn the tide." Tammy Bruce, best-selling author, radio show host, Fox News contributor: "One of the first things necessary to take back this nation is becoming informed. Police State USA is the book that will get you there and inspire you to defend this nation from big government zealots who believe you won’t notice what they’re up to." Like what you read in "Police State USA: How Orwell's Nightmare is Becoming Our Reality? Then make sure and check out my second book, "The Devil in DC: Winning Back the Country From the Beast in Washington," available NOW at Amazon, that gives all the solutions! Would love to hear feedback -- do you think America is currently in a police state, or on the cusp of a police state? Read my book, and tell my why I'm wrong. Or tell me your story -- how I'm right -- and just how government's encroached into your life. It's in the bookstores, too! 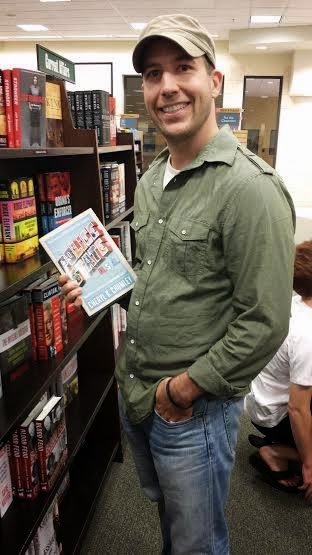 My good friend, Doug Ernst, beating back the Barnes & Noble police to grab a quick shot of my book, "Police State USA: How Orwell's Nightmare Is Becoming Our Reality," right off the shelves. No lie -- the first time he tried to take the picture, a bookstore employee came running over and said, "You can't do that!" So, of course, his reaction ... well, yes I can. I'm calling this picture "Success."